I learned that I will come back to Korea. Whether for study, work or travel, I will be back without question. 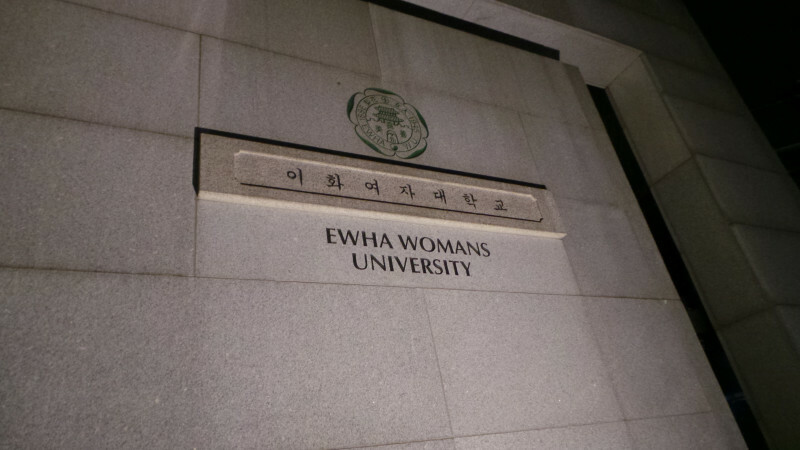 My experience at Ewha has become a highlight in my life I will never forget. Attendance is extremely important! You will fail if you are late or miss a certain amount of lectures. The Office of International Affairs (OIA) is comprised of very helpful and welcoming individuals! Special shout out to Mimi Ahn, and the lovely Jung Jiwon~ This program also allows students to be paired with a Professional Ewhaian At Cultural Exchange (PEACE) buddy. These PEACE buddies are volunteers who speaks in English, Mandarin, Japanese and are your companions during your stay at Ewha. They are seriously the best! 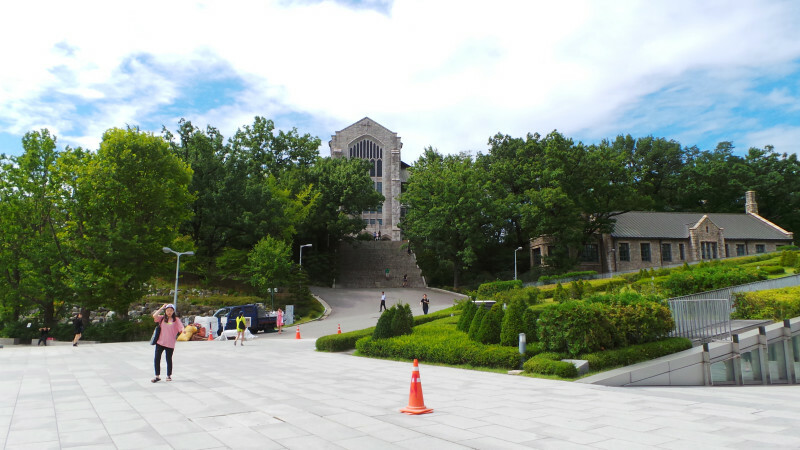 Although I resided outside of the dorms, I visited the dorms many times~ The only and biggest complaint is that the WiFi cannot be accessed within your room and you have to go to the lounge area. However, the rooms are equipped with a very comfortable bed, refrigerator, desk, closet, air-conditioning, washroom, and roomate. What else do you need? Laundry machines are available for 500won (50 cents). And I believe that cooking is not encouraged (may even be prohibited?) in the dorms. Within and outside the school, there are any options for food. If you want something cheap, you can go to the POSCO building to buy some Kimbap! If you don't want to move, you can order food to be delivered right to the front door of your dorm/residence. Ask your PEACE buddy for the best recommendations! Also, there are many 24/hour cafes near the school! You can go there for studying, or dates, whatever suits you! You can also find a 24/hour Seolleongtang restaurant 10 minutes walk away from the school when you're turnt and hungry! The great thing about PEACE buddies is that they are locals, and they bring you and show you all the best tourist sites and all the places only locals would know! Near my residence (5 minute walk from the University) there were more than 3 pharmacy shops. My friend who had a cold was able to find her medicine with our limited Korean. The pharmacist even recommended some medicine for her after a quick diagnosis. 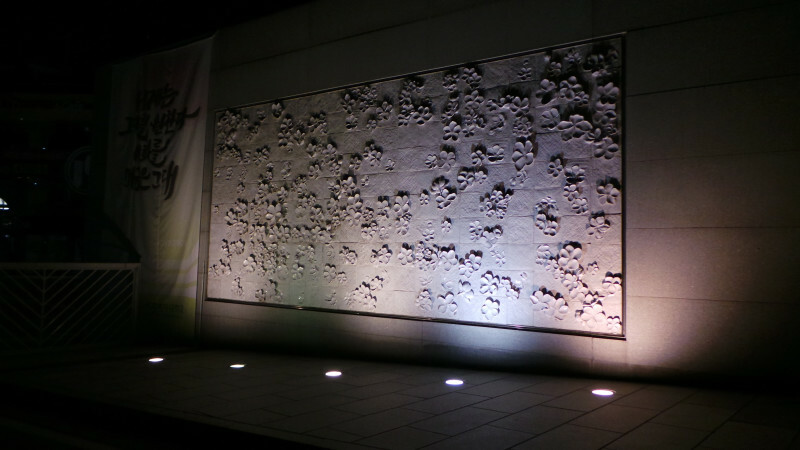 I also visited Korea a little bit after the MERS crisis. The University provided information about the respiratory syndrome, and even gave us a mask and hand sanitizer. I've walked home alone in the middle of the night several times from 1AM-5AM and was safe and sound. It is quite easy to be frivolous amongst all the shaved ice stores, underground shopping malls, cosmetics shops, and pubs. But if you really need to, you can use your money sparingly with ease too. The main costs is the application fee, tuition fee, housing fee, and field trip fee (if it applies). You can find cheap food, and you can find expensive food. It's a matter of finding it. Do you have any general money-saving tips for future study abroad participants? Itaewon is very expensive. Celebrity opened restaurants are also really expensive. Korean language classes are taught in Korean. Most of the teachers don't seem to know English. They do a placement test to determine which level you are in. You can go into this with zero knowledge. Textbooks are offered in other languages such as English, Chinese, and Japanese. Comments: I was able to pass the course with an A without much difficulty. There were many small 300-word discussion questions assigned, in addition to a movie reflection essay, group presentation, and a final exam. 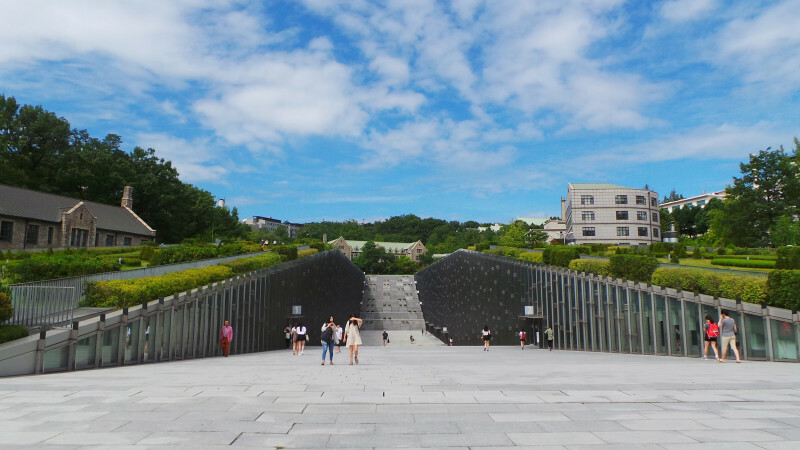 There was an assignment that required you to go and observe social problems in Seoul. It was a good opportunity to observe and explore Seoul with a more in depth perspective. The professor was great. Her English was definitely comprehensible, she is very knowledgeable in this subject, and was great at her delivery. Credit Transfer Issues: At my home university (University of Waterloo) it transferred as a SOC1XX credit according to Dr. Barry McClinchey.